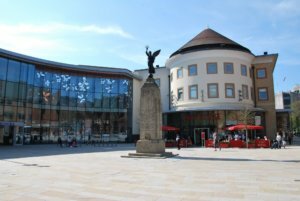 Why Should I Relocate to Woking? | Curchod & Co.
Why should I relocate to Woking? With frequent train services to London Waterloo station taking on average just 24 minutes, the close proximity of Woking to the City makes it the perfect base for your business. The M25 is also within easy reach for those who may wish to commute by car to Woking, which can be accessed via junction 11. Alternatively, Gatwick Airport can also be reached by train from Guildford railway station or Clapham Junction should you wish to travel further afield for some international business. The town is also home to a wealth of successful businesses, which include the McLaren Group, as well as offering a large concentration of office accommodation throughout the town centre. Start Your Search today with CURCHOD & CO! If you’re looking for Offices, Industrial, Retail, Property Investment opportunities or Property Development in the Woking area then we can help you to make an informed decision, based on your personal requirements and will tailor our service to you.